We nod and Izu, our guide, waves us over. 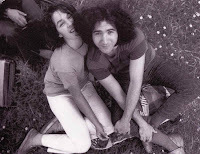 Originally from Yonkers, Izu was fourteen when her parents took her to San Francisco during the 1967 “Summer of Love.” Enamored with the Grateful Dead, she moved to the area at seventeen and has lived here ever since. Izu is a Haight & Ashbury original. 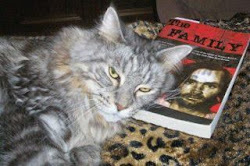 She was even friends with Jerry Garcia until his death. 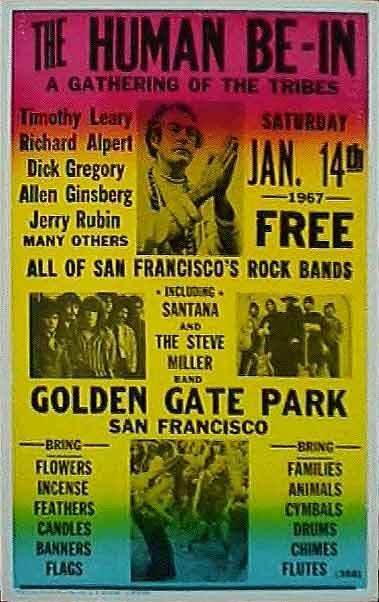 Our first stop on the tour is Golden Gate Park, where the Human Be-In took place in 1967. 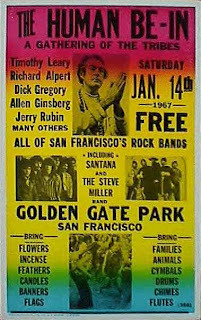 Two hundred thousand hippies came here to participate in a grand party and Allen Ginsberg read his poetry. Today, a circle of drummers with debris in their hair sit underneath a tree. We next head over to Cole Street, where Izu points out the Charles Manson apartment. “People always talk about the dark side of the hippies,” Izu says. We won’t pass by the house directly because the lady who lives there gives people the finger. “She’s not happy about the Victorian’s history,” Izu explains. We turn onto Belvedere Street instead and see a condemned building with an impressive mural. The Diggers lived here, says Izu. They set up a homeless shelter and lived in a commune, preferring to barter rather than use money. Izu remembers a time when the Haight was filled with this kind of spirit. Two years ago, however, government officials shut down this shelter and food bank. We walk on to Ashbury Street where the Grateful Dead lived at number 710, the Hell’s Angels fought inside the Victorian across the street, and down the hill, at number 635, Janis Joplin lived. 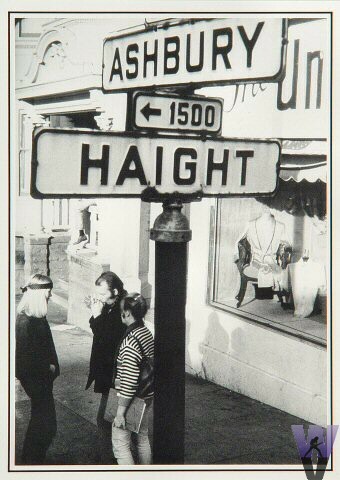 Finally, we turn onto Haight Street. Izu points to a mural of Jimmy Hendrix. The people who lived inside that apartment building once gave shelter to draft dodgers. Hip businesses inhabit Haight Street today, including body piercing shops and used record stores. The local government doesn’t allow chain stores to exist here, only small businesses – which include the “Power to the People Coffee Shop” and the cooperative Anarchist Bookstore, which has been in business since the '70s. The last stop on Izu’s route is the Psychedelic Museum. 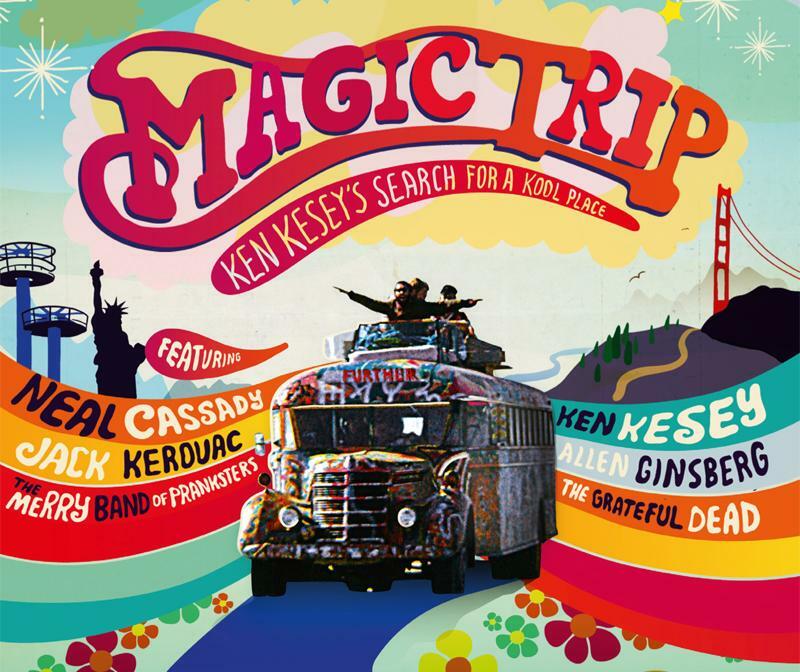 Inside a private Victorian, a small living room is filled with memorabilia, including a poster of Ken Kesey’s Magic Bus and copies of Adam Cohen’s underground magazine The Oracle. She finishes the tour by asking why people don’t care anymore. Izu wants the heyday of protesting and free food programs to come back. But maybe, with the free medical clinic down the street, the Goodwill Store, the Red Victorian that holds daily “Peaceful World Conversations,” and Izu herself giving these tours, people might actually still care. It just happens to look a little different from the way it did during the '60s. Check out haightashburytour.com for more info and to buy tickets. Submitted by Katie. Thanks Katie. I was a few years too young to go chasing the hippie dream in '67......maybe I should take the tour. Or maybe I could start my own 70's style tour of So. Cal. beaches. How many times have I told you NOT to fall asleep with candles burning!! Lynyrd, you did an excellent job with this thread. You added the pictures and put them according to where they were mentioned in the article. I don't know if people who read this blog know exactly how much trouble you go to, but I just wanted to say thanks! Sbuch, thanks to you too! Much appreciated! HA HA. Gotta love it!! Those hippies....what a ditzy bunch...gotta love 'em. They really thought they were making a difference. But I was only 14 in 1967, and my life consisted of American Bandstand,cleaning the house and the Beatles or the "Beat-less", as some folks called them. I didn't even meet hippies where I lived. I only read about them in Tiger Beat magazine. LOL.